This topic contains 5 replies, has 5 voices, and was last updated by Billy 4 years, 6 months ago. 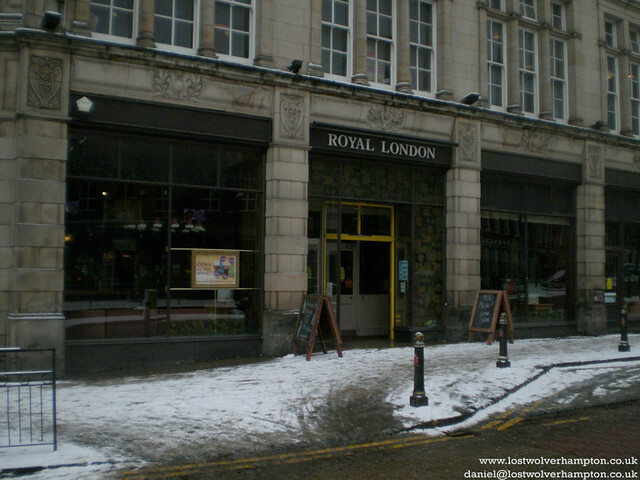 I just wanted to show a couple of pictures of the Royal London buildings that I took way back in 2010. Nice to see a corner of Wolverhampton not spoilt by progess. The Royal London Buildings named after the Insurance Company. I am sure their are still many older Wulfrunians who can recall the clubman from the Royal London calling on their parents, to collect the weekly subscription on the penny polices they held. I remember our Clubman , Mr Stanley whose claim to fame was that he had sold my grand parents a policy for my mother in 1910, one for me in 1937, and one for my son John in 1961, how’s that for service dedication. 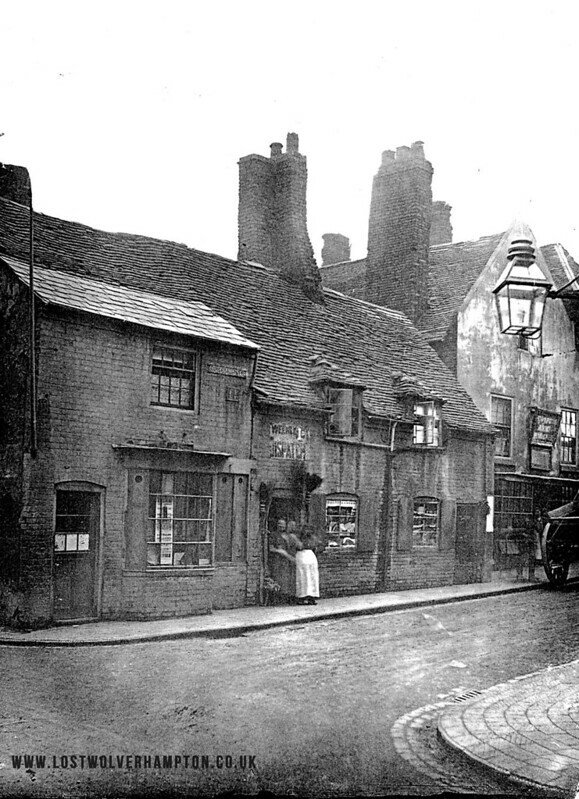 The following photo is the exact replica of the site of the London Buildings taken as you did with your back to the Varsity, (“George Hotel”) probably taken around 1890, before the site was cleared The Public House on the right,was the ‘Coopers Arms’. I am sure there is someone out there who will recall the famous Tea Company that later came on that spot. I most certainly remember “SNAPES” the gents outfitters. Mr Snape used to give me the odd lift to school in my earlier years, he lived about four doors above where lived in Uplands Avenue. If I remember correctly, Barringtons was the tea company. There was always a pack in the cupboard at my Gran’s, and the teapot was never empty. Almost the first words from visiting family was, ” Any tea in that pot, Mother?”. The pot was always on the stove, topped up occasionally with another spoonful of tea and boiling water. Happy memories! That picture of pre-Royal London building is intriguing. Wolverhampton has lost so much, though the Royal London building is impressive and a testament to the money in the area at the time. 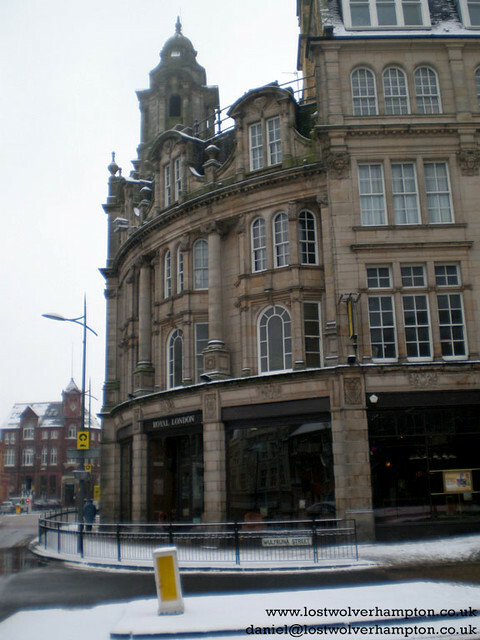 Yes its a shame we have lost so much of our Victorian Legacy over the years, How we let them destroy the Two Arcades , the Two Market Halls, etc etc…Beggars Belief.